Technology and talent are on top of the priority list for CPOs. According to the Deloitte Global Chief Procurement Officer Survey 2017, 75% of respondents report that procurement’s role in delivering digital strategy will increase in the future, and nearly nine in 10 believe that talent is the single greatest factor in driving procurement performance. One way to make sure to have the right talent isby adopting an effective and innovative learning and development program. This can be done efficiently by combining technology and training. In fact, technology has revolutionized the learning and development market. Research shows a significant growth in technology tools to train people nowadays. For instance: scenario-based video, online communication channels, virtual learning, and MOOCs are all growing rapidly as training tools. E-learning continues to grow rapidly in the corporate sector. Workforce.com states that “73% of training in Fortune 500 companies is delivered via online methods” and e-learning magazine 2013 says that 41.7% of global Fortune 500 companies use technology during formal training hours. Companies like GE, Motorola, Philips and others are extending their training budget to reach 2-3 times the audience through the use of easy-to-use training portals and virtual learning experiences. The adoption of technology in training has definitely gained traction over the years. The Learning Management Systems market is also growing with a volume of over $2 billion in 2014 and continues to grow fast. At Procurement and Supply Chain Academy, organizations are given the opportunity to train their employees through internal academies according to the skills they lack or need to improve. All this is done through innovative training solutions such as scenario-based videos, webinars and simulations. 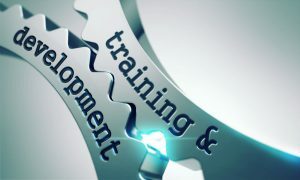 Such training allows employees to apply the skills and knowledge they are learning directly in their day-to-day jobs. Also, it prepares them in advance to face challenging situation in their jobs. Save money and time as employees don’t need to travel for training, and there are typically no facility costs. Costs for instructors and Instructional Designers occur up front, but once a course is developed and delivered, it can be used over and over again. Go green with E-learning. By eliminating travel to and from training classes and printing classroom materials, your organization is not affecting the environment. Available 24/7 – employees are able to access their training courses anytime, anywhere. This is especially relevant to Millennials who normally prefer to work flexible hours and remotely. More creative – Engaging content like videos, quizzes, games, and interactive activities prove to be more engaging and help increase retention in learners. It is a major advantage for companies with employees in multiple time zones. E-learning technology platforms can bring those learners together into one online experience. Assessing your training needs is the first step towards making the most of your training budget. It is essential to look at your current training technology. Do you have a Learning Management System (LMS) already in place? Does it still serve your needs, or is it time to replace it? Start by considering who your training program targets. If your target is only to train your employees, consider what is the best technology to effectively train them. What are some ways that training can innovate and bring additional benefits? If you can make the argument, and then show a return oninvestment, you’ve just found a possible way to increase your training budget. It is essential to realize that not all e-learning solutions are effective. Design is key as far as e-learning effectiveness its concerned. Investing in a high quality and engaging e-learning program will prove to be more efficient than a cheaply designed digital learning solution. Therefore organizations need to invest wisely by considering all the available options and choosing the best one which fits into the budget. Nowadays digital academies are taking the lead in the e-learning industry. More and more large organizations are opting for this option. This allows them to train their employees according their needs. For instance: At Procurement and Supply chain Academy, the competence development methodology used is role-based training. This structured and segmented approach to training, will allow you to train your procurement staff to what is required for their role. Such competence model can be easily and quickly adapted to meet individual customer’s expectations. In this way, organizations will not lose time and resources providing unnecessary courses to employees. They will be more likely to provide them with the skills and knowledge they actually need to perform well at work. Hence, it represents a win-win situation for both the employees as well as the organization. Through a highly engaging training program, employees are more likely to be motivated to complete their courses and apply what they are learning. This also allows the organization to retain the best talents, leading to more productivity, customer satisfaction and profitability. To make the most of their training budget using technology, organizations need to realize that not all e-learning solutions are the same. It is important to opt for an effective and innovative solution which will not only prove to be more engaging for employees but at the same time, will allow the organization to save a considerable amount of time and money.